There just doesn’t seem to be any slowing down for Colourpop! They seem to be releasing something new every other week! This week it’s their new collab with Eva Gukowski aka My Life As Eva on Friday, 3.23! We freaking LOVE collabs, as you know, so we are sooooo excited already! The collection includes two eyeshadow palettes (Vacation Mode & It’s All Wild), a lip bundle with Ultra Glossy Lip (Just Surfed) & Ulta Blotted Lip (Love Bite), and finally one Face Duo in Mermaid Glow. Prices have not been released yet but we know they’ll be affordable because that’s just how CP rolls. We are loving this amped up packaging so so much! As if the products inside weren’t exciting enough, the packaging has got us sucked in already! 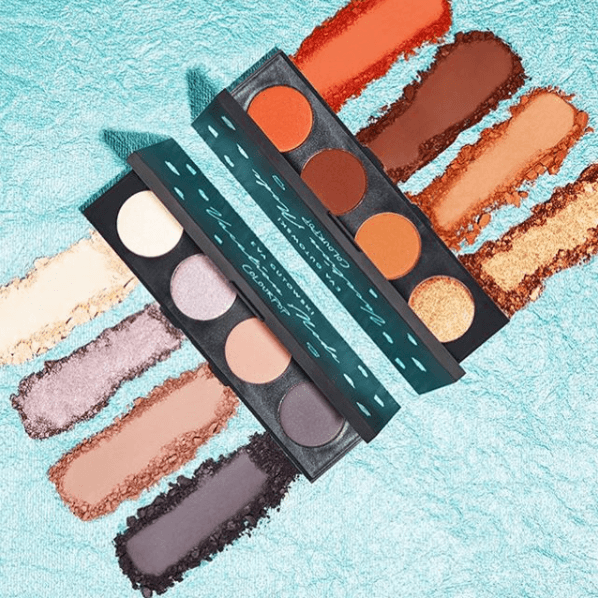 When it comes to the eyeshadows, we are kind of over the warm-toned situation right now only because our collection is seriously already so stocked up. However, I am ALWAYS in the market for a cool-toned purple palette. Like, always. I am thinking Vacation Mode might be right up my alley! The shimmer shade looks out of this world! It would be SOOOOO perfect paired with the Ultra Glossy Lip in Just Surfed, which is suuuuuuper glittery and full of high-shine! 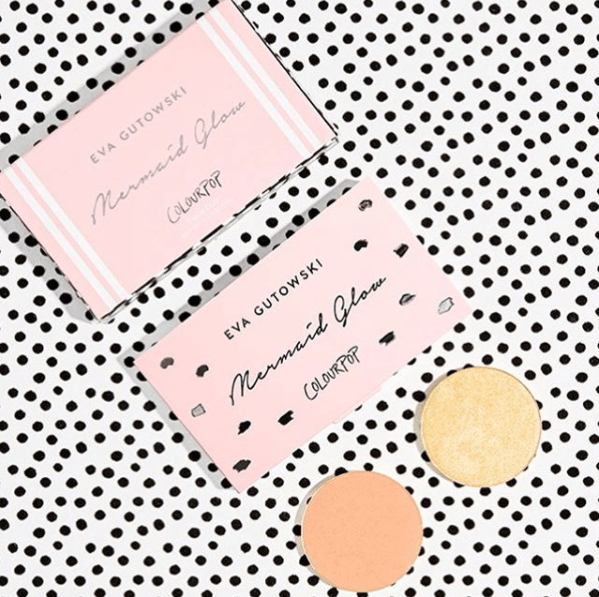 Glosses are making such a come back and we are HERE FOR IT! But I’m saving the best for last – that face duo though! We are just suckers for palettes and face products in general, tbh. The Mermaid Glow due includes the shades Golden Hour (the poppin’ gold highlighter) and Siren (the warm coral blush). We collect YouTube collabs so this is pretty much a must-have for us!